A New Kind of Bag for the Gym and Office. 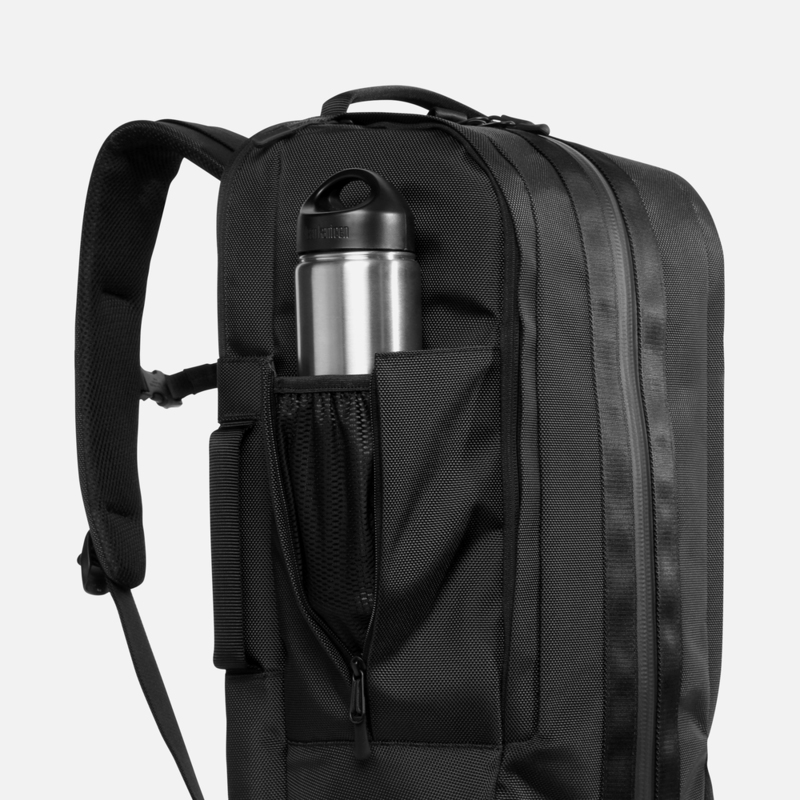 The Duffel Pack is a new kind of gym/work backpack that stores your gym and office essentials. 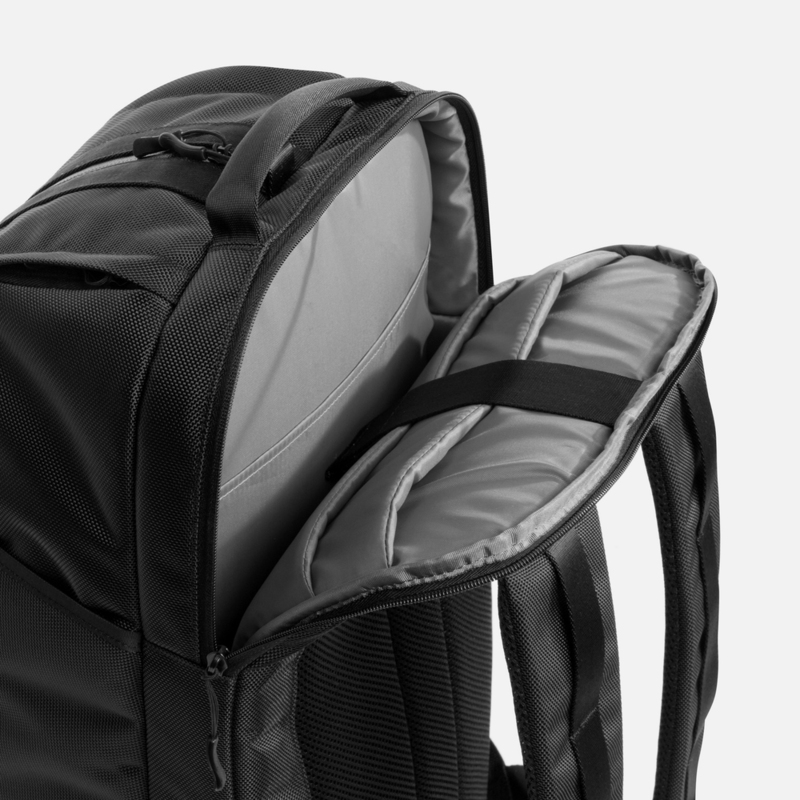 The vertical zipper gives you full access to the interior while the backpack straps make it comfortable to carry. "2016 GEAR OF THE YEAR"
The Duffel Pack is designed to carry your daily essentials in one bag. Its sleek and streamlined design is perfect for the modern workplace and gym. 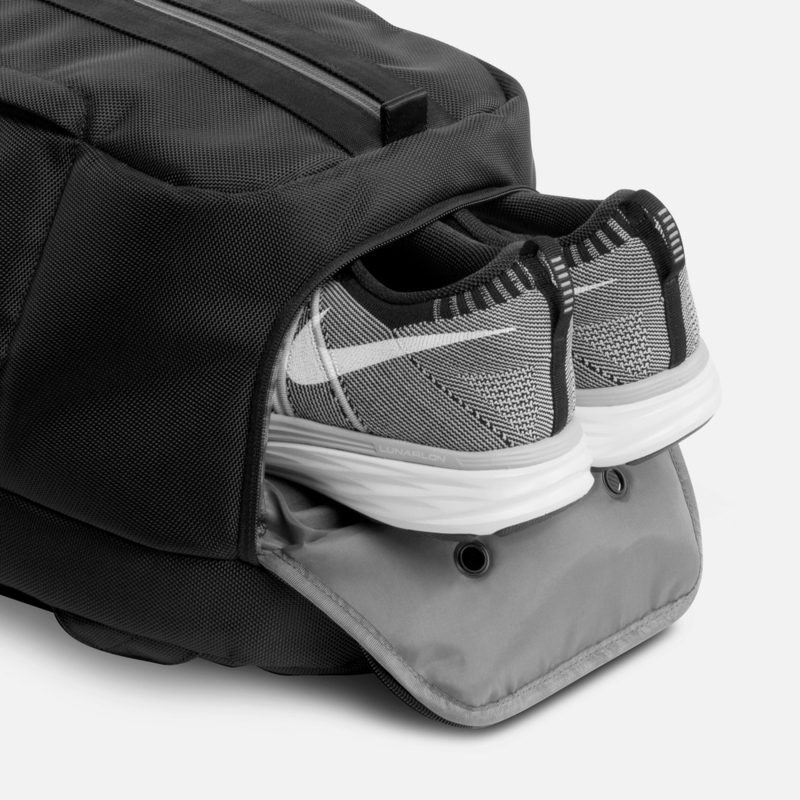 The front-load main compartment is designed to store your clothes and essential gym gear. It's sealed with a YKK waterproof zipper so your gear stays dry in wet weather. The separate shoe pocket is water-resistant and ventilated, helping to reduce sweat and odor. The pocket is large enough to fit size 13 men's shoes. 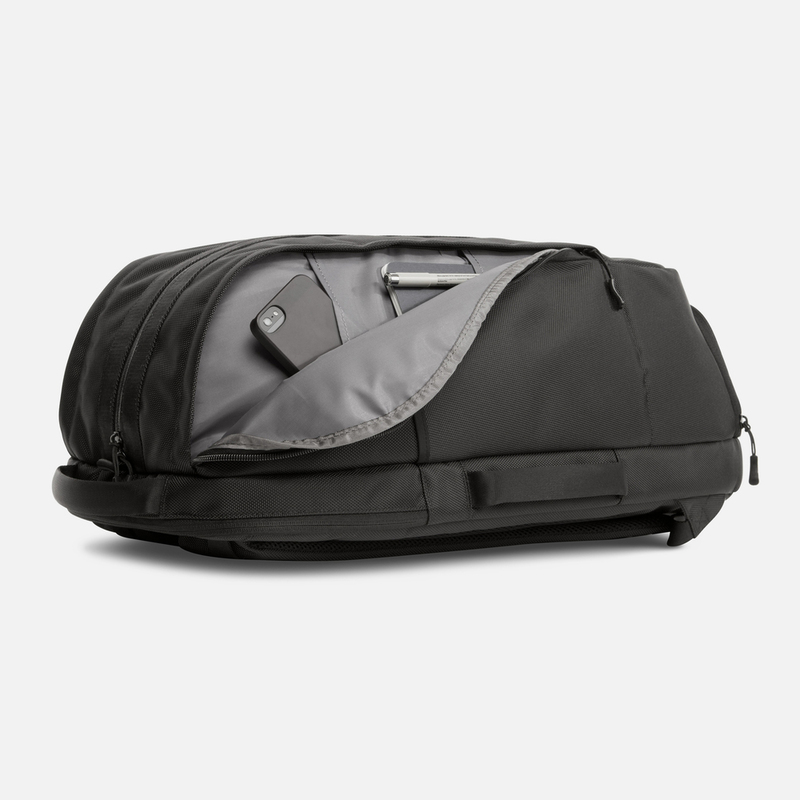 The back compartment is padded and separated from the rest of the bag, keeping your technology protected and secure. There are quick access pockets on both sides of the bag so your accessories and personal items are always within reach. The zippered side pocket expands to carry your water bottle or small items. See what people are saying about the Duffel Pack.